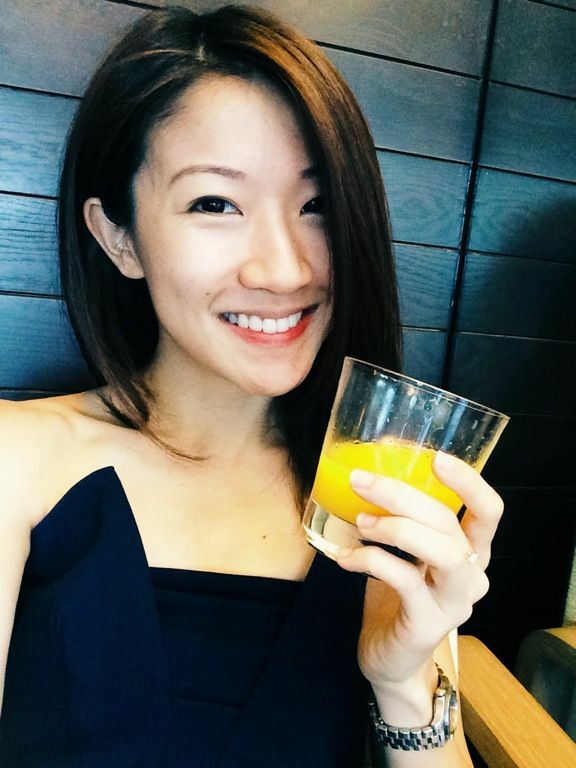 I love the Fullerton Bay Hotel for its amazing Marina Bay waterfront view and their high tea at The Landing Point remains my go-to for decadent bites. Well i've now found another reason to love them better with the newly refurbished French restaurant La Brasserie. Enjoy your customized Gin & Tonic ($19) as you enjoy the sunset from the opulent surrounding. I don't drink enough G&T but this was pretty refreshing. 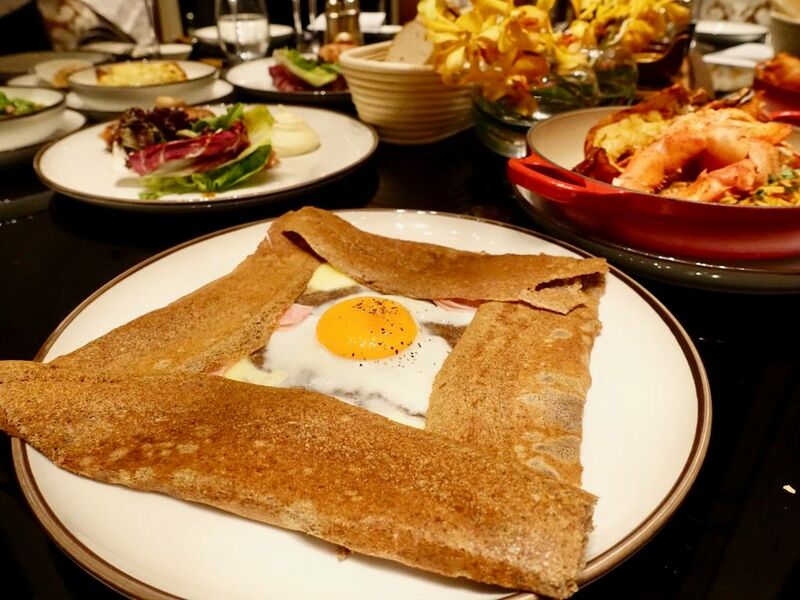 The French brasserie classics and dishes here have the hallmark of ‘cuisine du soleil’. This ‘cuisine of the sun’ is the representative food of the South of France, a region that is said to be blessed with the sun for 330 days of the year. 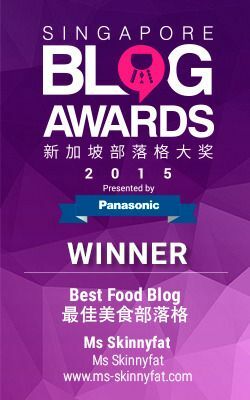 It is a cuisine characterized by Mediterranean flavours and a lighter touch. 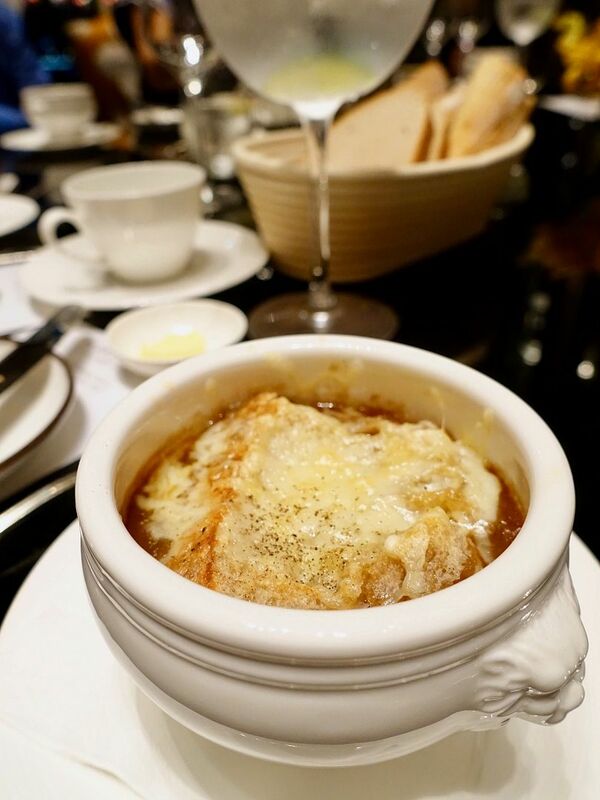 Start with a hearty Traditional Onion Soup ($19) which is a caramelized sweet onion soup made with beef stock. The beef bones are first boiled with trimmings without fat for at least 4 hours, and then combined with caramelized white onions for another 3 hours. The hard work culminates into a sweet hearty broth. It's topped with a day-old sourdough with gruyere cheese that has been gratinated under the salamander. Eat it quick before the bread turns soggy! We tasted the Mediterranean influence in the Aubergine Caviar Tartine ($19). 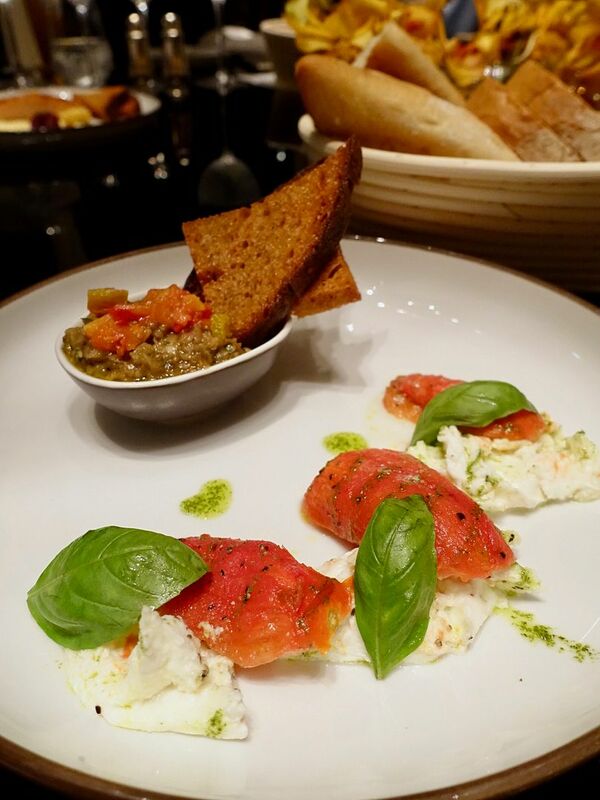 The Mediterranean black eggplant is whole baked until completely charred, then served with a sweet Roma tomato confit, buffalo mozzarella and extremely crunchy olive oil pan-seared Poilâne bread. The crunch could be heard from miles away. 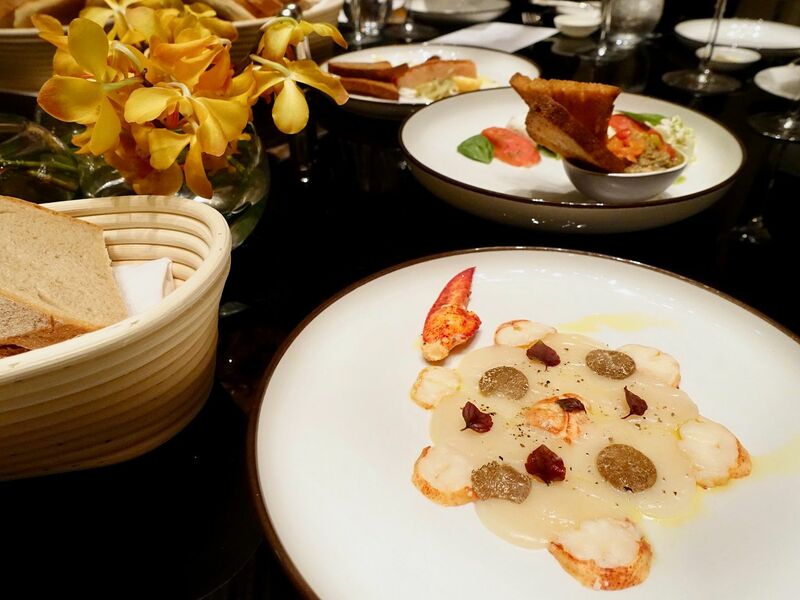 The signature Lobster and Scallop Carpaccio ($33) has been on the menu since the restaurant opened in 2010. The slippery slivers of hand-dived Hokkaido scallop and sweet 'live' Boston lobster are dressed with black truffle oil and lime juice. 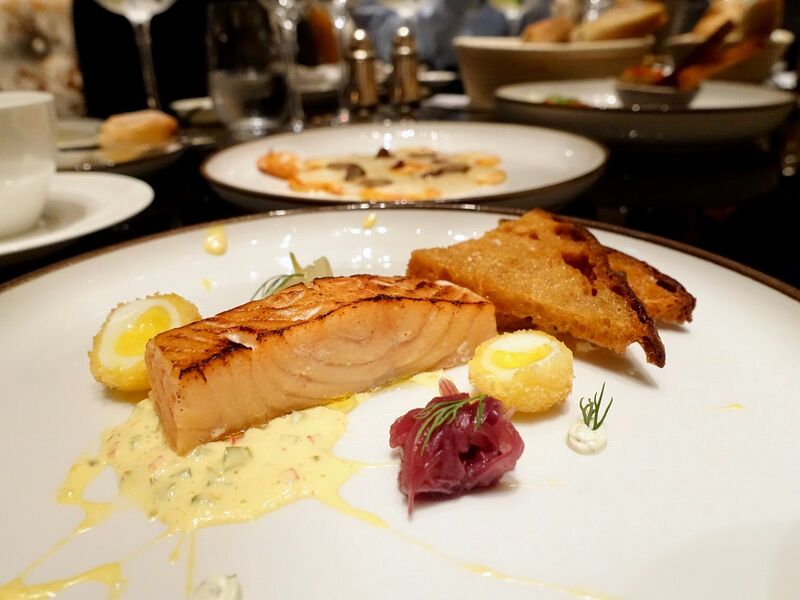 Hot Smoked Balik Salmon ($21) is one of my favorite starters here. The NZ king salmon is cured with salt and smoked over Japanese binchotan charcoal for a flavorful smokiness! 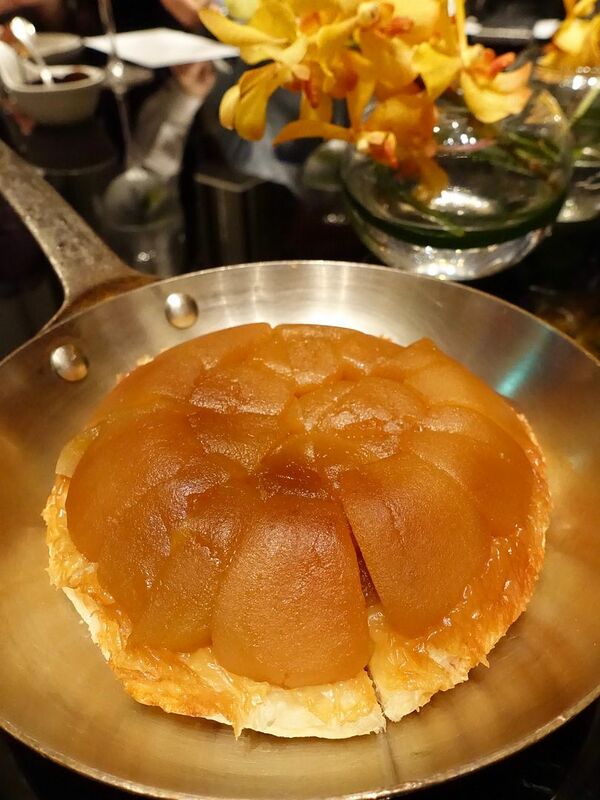 The torched exterior parted to reveal a delicate pink center which is so good on its own. Enhance the flavors with the red onion compote and creme fraîche. 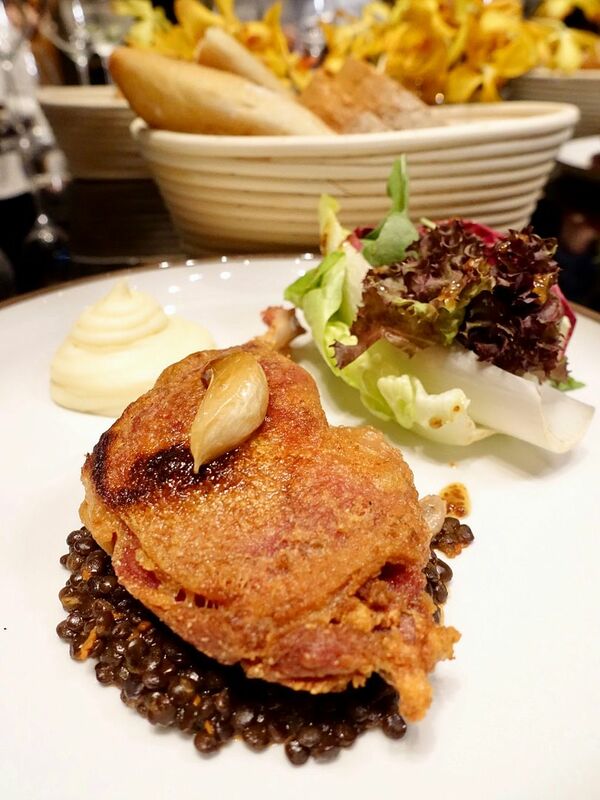 Suprême de Canard Confit ($39) with Beluga Lentils and crisp salad is a signature at La Brasserie. I remember not being too wowed by it the last time I had it but the dish seemed to be have improved. The cured duck leg had enough flavor from the salt and fat while retaining a nice meaty texture. 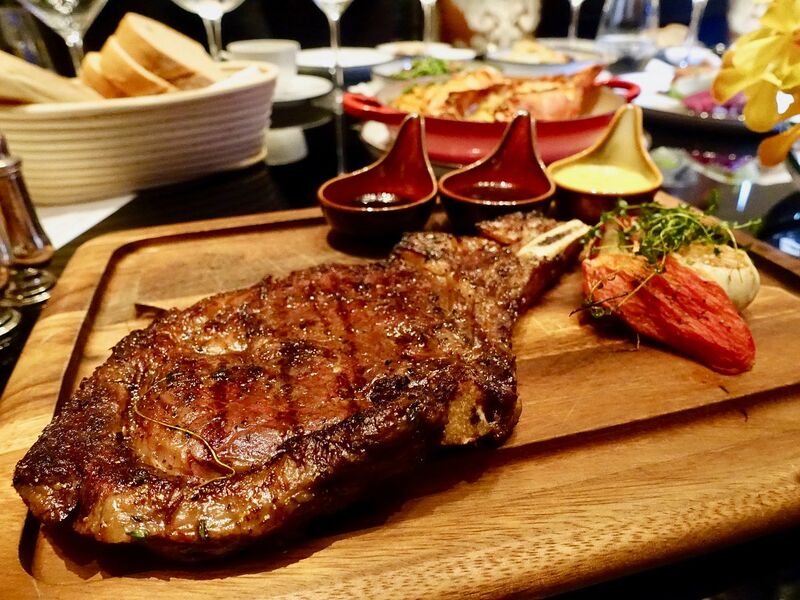 Grilled Côte de Boeuf ($99 for two persons). The gorgeous slab of rib-eye is first grilled in a Josper over binchotan and black cherry wood and then basted with a thyme butter! The juicy buttery meat is good on its own and there's no need for the wide variety of mustard, salts, and sauces. 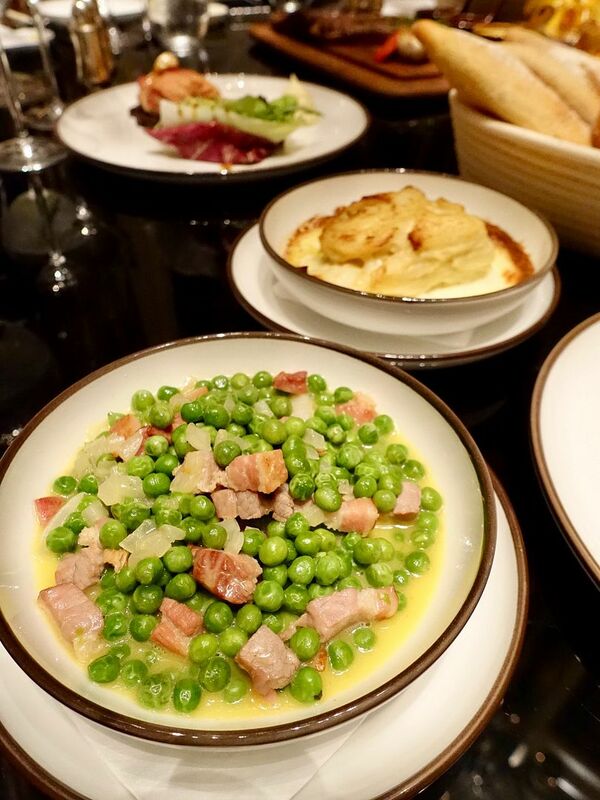 Add on sides of potato gratin ($9) or sautéed peas ($9) with lardon to go with the meat. I hate peas but these were so poppingly delightful. I would certainly order the Lobster a L’Americaine ($68) every time i dine here. 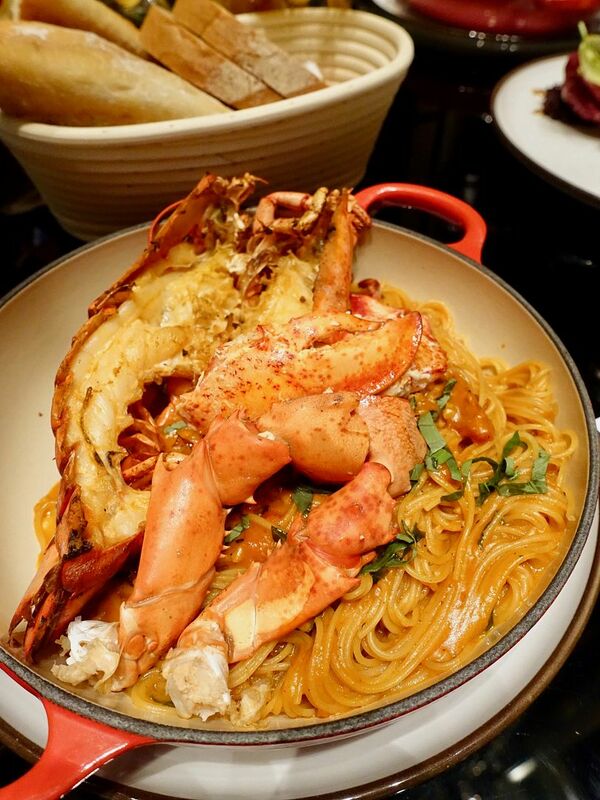 You can smell the umami fragrance of that Roma tomato, fresh basil, and lobster base sauce. The angel hair pasta is tossed in with the sauce and the thin noodles absorbed all that lovely flavors. I can finish a pot of this i swear. New additions to the refreshed menu are the selection of gluten and dairy-free buckwheat Galettes ($23/ $28 with a cider). I found the La Complete Galette with Paris ham, Gruyere cheese, and organic egg quite pedestrian. The Louis Ralson Original Crisp cider ($17) cider fared better on its own. Definitely have the Profiteroles ($13) piped with creme patisserie and topped with Chantilly cream and warm chocolate sauce. 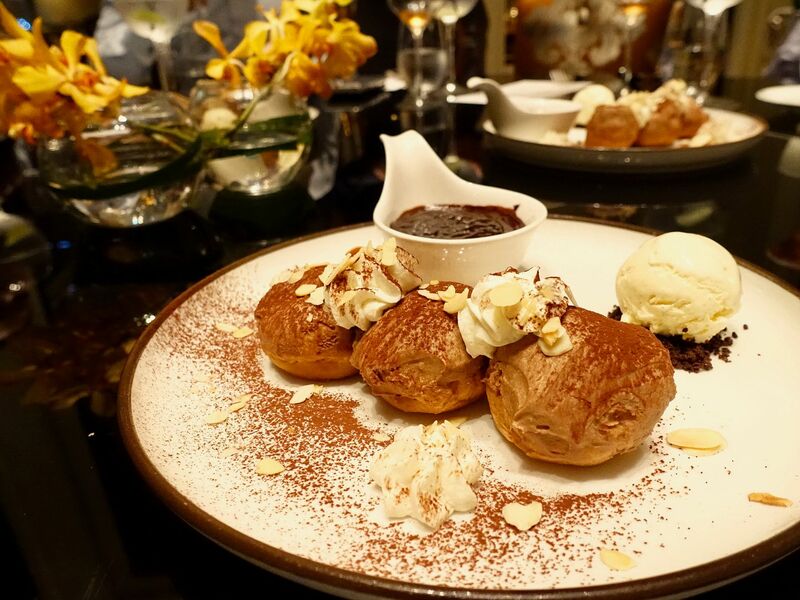 The double Tahitian vanilla ice cream is out of this world and contrasts with the eggy custard in the airy puffs. It's made even better with the rich 55% Valrhona chocolate sauce which has a nice acidity to it. 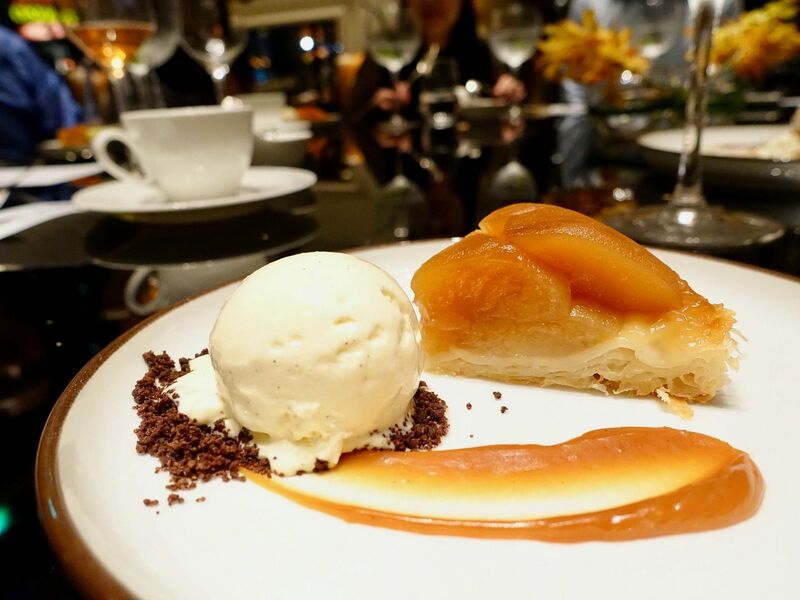 Also make room for the Tarte Tatin ($32 for two to four persons) which features soft caramelized Granny Smith apples baked in caramel and topped on a mille feuille base. Each guest is served a scoop of ice cream after the pie is sliced table side! I have so much love for the dishes here at La Brasserie. Plus Fullerton Bay Hotel is such a gorgeous place to hang out at. If I were working in the area, I'll definitely go for the set lunches which start from $38. Also, it's possible to take away some of those lovely Western and Asian sweets at the brand new Fullerton Boutique located at the restaurant entrance leading from the hotel. P.s. The Fullerton Kueh Lapis is quite sedap.